Photos and images meant for email or posting on websites need to be compressed to reduce time of upload and download as well as to save on bandwidth. JPG files are commonly used for these purposes. The lossy compression is permanent and the lower the compression rate, the crisper the image will be. 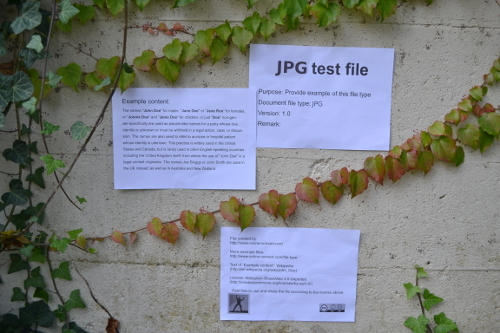 Digital cameras often operate using JPG images, and photo uploading usually request this file type (as well as a few other types). JPG files are best utilized for photographs and realistic paintings, not line or images with harsher lines or color changes. Text is also not translated well into JPG images. The lossy compression of JPG images is commonly at a ratio of 10:1, providing low loss of quality. Two main types of JPG images are: JPG/JFIF (used for storing and sending photos online) and JPG/Exif (used in many digital cameras). Due to the way JPG files are compressed, there is some loss in exact data and they should not be edited excessively since each additional edit decreased the quality due to a the repeated compression patterns. JPG files are best utilized as the final product and loss-free files are best used for editing. Compression at rates of 100:1 are possible, but decrease the quality significantly, thus it it is recommended to keep the compression rates to 20:1 at most to retain quality and reduce the number of artifacts in the image.